Back with one more product review from famous brand Fuschia . 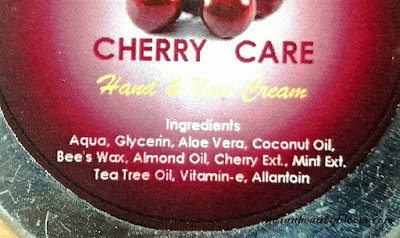 Today I am going to review it’s Cherry Care Hand & Nail Cream . 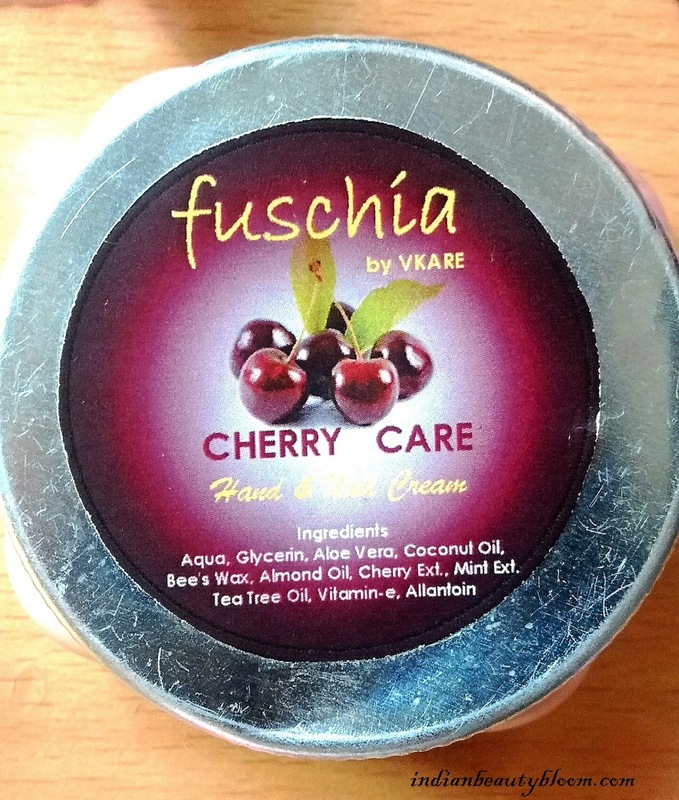 Fuschia Cherry Care Hand & Nail Cream is an excellent product to take care of hands & Nails . 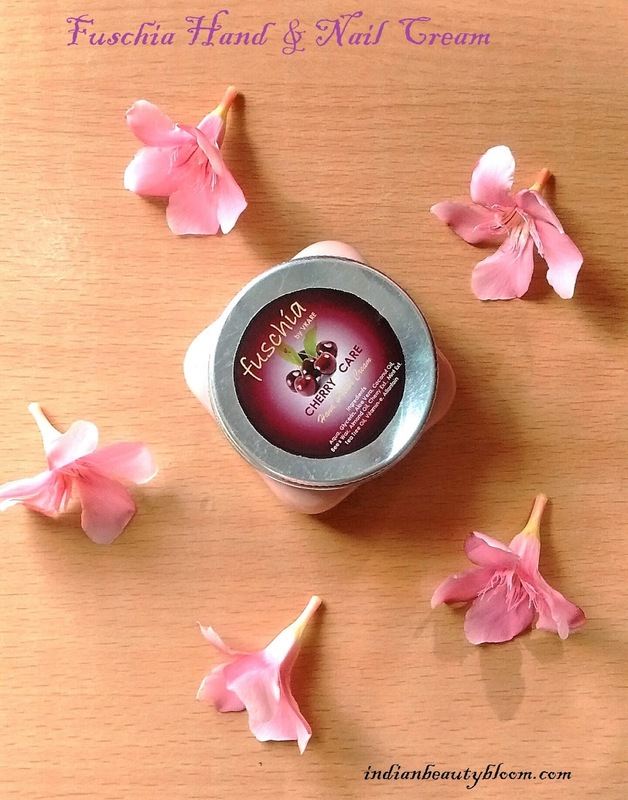 This is thick & rich cream which moisturizes the skin and prevents premature ageing of skin . 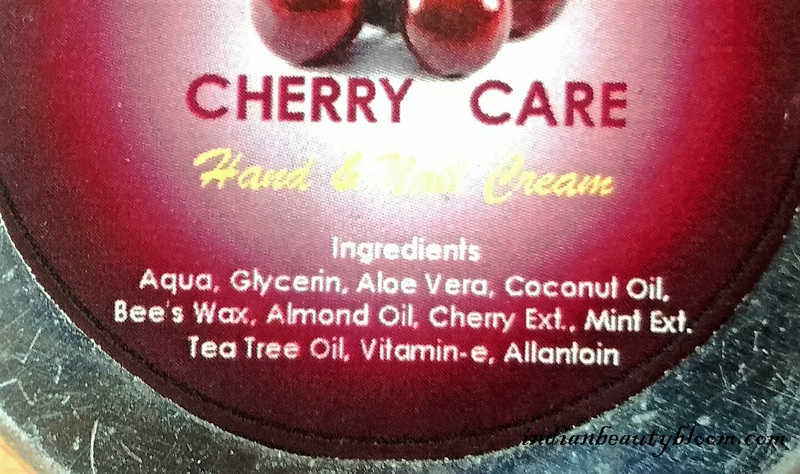 Ingredient list is excellent with Tea Tree Oil , Coconut oil , Aloe Vera , Vitamin E all of which are good for skin . 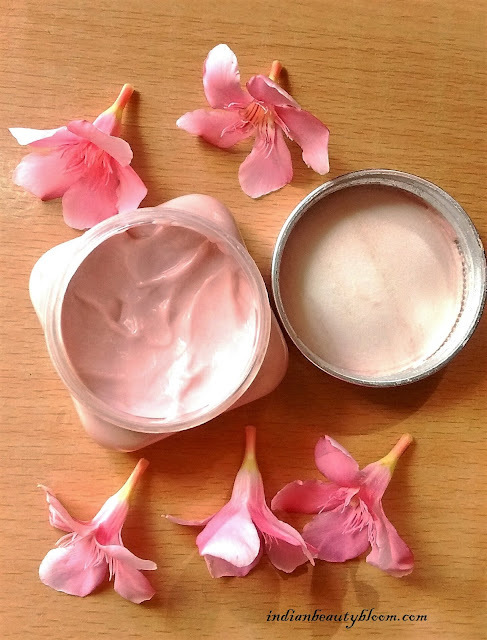 This hand cream is a thick cream in pink color . It has a lovely fragrance similar to strawberry . 1. Free of harmful chemicals like parabens , Pthalates etc. 2. Contains natural ingredients like Coconut oil , Aloe Vera etc . 3. Coconut oil , Almond Oil moisturizes the skin . 4. Aloe Vera Prevents skin from drying . 5. Completely moisturizes the skin and keeps it hydrated for a long period of time . 6. Has a Sweet Floral Aroma . 7. Makes skin smooth & supple . 8. It’s Non greasy . 1. Availability might be an issue as available only on online stores , difficult to get in Local Stores . 3. Product details like Price & Shelf Life not mentioned on the pack . I am using this cream past few days and it’s too good specially the fragrance is awesome . 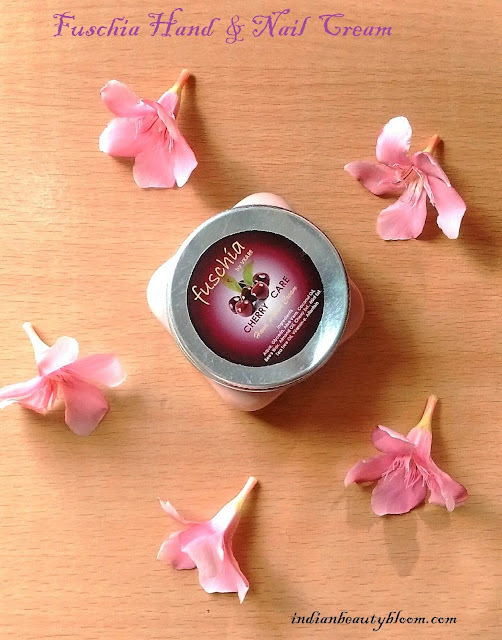 It’s a thick cream which gets absorbed in the skin completely and moisturizes the skin and keeps it hydrated for a good period of time , Best is to apply it at Night time . Regular usage makes skin soft & supple . The Product does what it claims . One needs to use it after washing their hand , taking little quantity of it and massaging gently on hands & nails . And it’s necessary for women as after doing all cleansing & laundry job many a times our hands look and feel too dry , so this cream is an ideal one to use to keep our hands & nails moisturized and healthy .